Cute, compact, and now more colorful than ever – it’s the iPod Nano. It’s your go-to music player, so stealth and sturdy you sometimes forget it’s even there. That is, until you hear the unmistakably awesome sound of your favorite songs, podcasts and playlists, and you remember that you’ve got one of the coolest portable devices ever invented. Over the years, the Nano’s taken on a number of different shapes – from rectangular to square and back again, adding video (first playback and now recording, too!) and an FM tuner along the way. 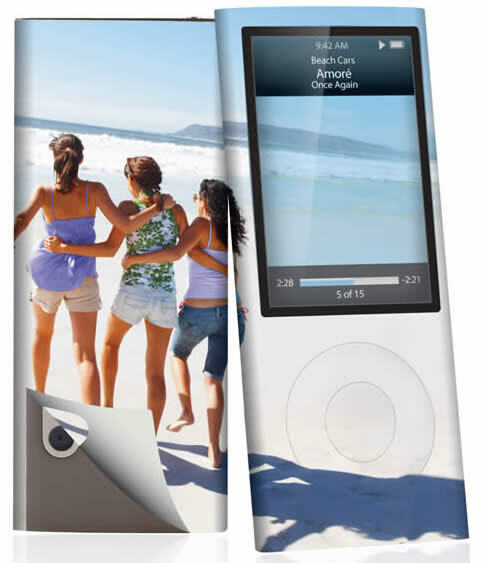 But no matter which Nano you own, there’s an iaPeel skin size just waiting for you to help add that custom design. All you do is use the included software along with your inkjet printer, and in no time at all you’ll be proving that old adage about how big things come in small packages.